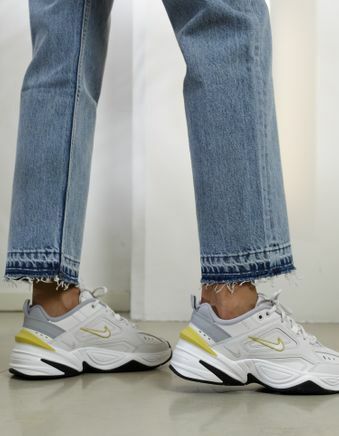 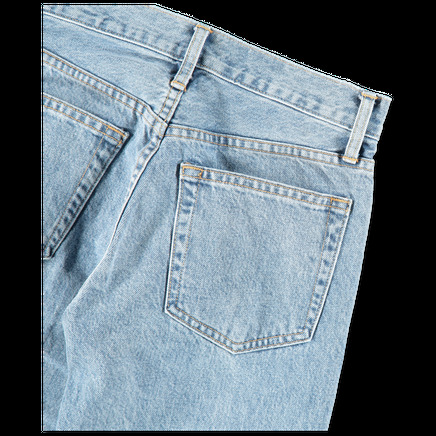 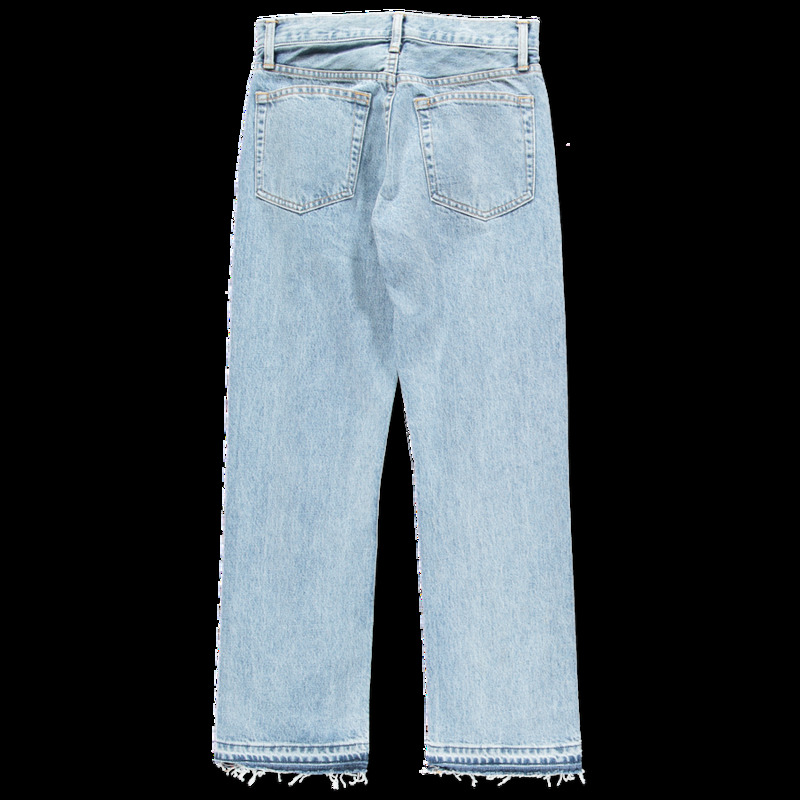 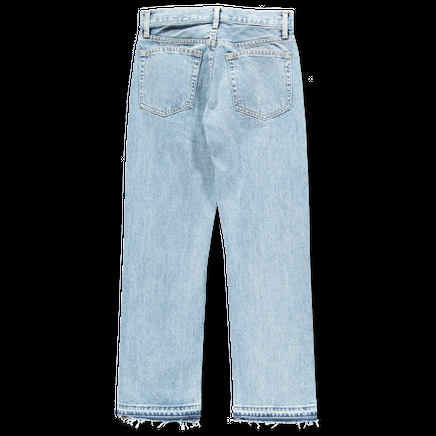 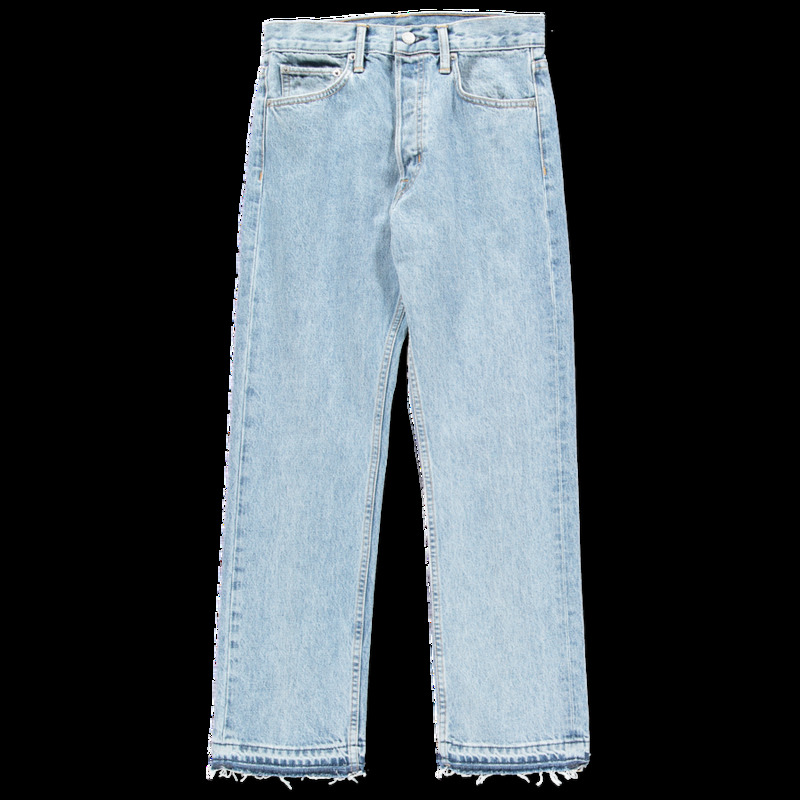 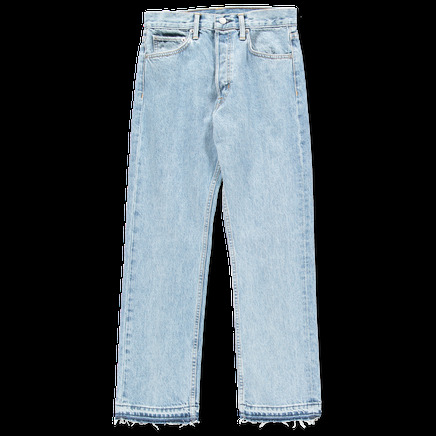 Helmut Lang straight jean with high waist in a speckled marble - the perfect retro blue wash - and raw edge trim. 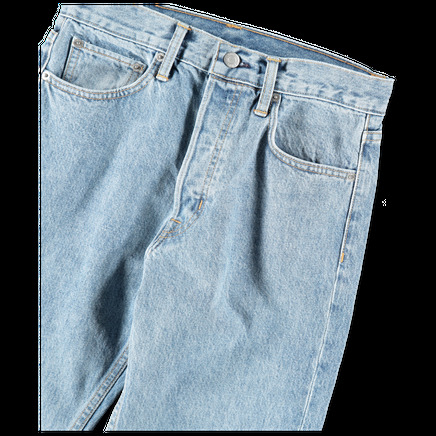 Classic five pocket style with fading throughout, button fly, silver tone hardware and slightly cropped leg. 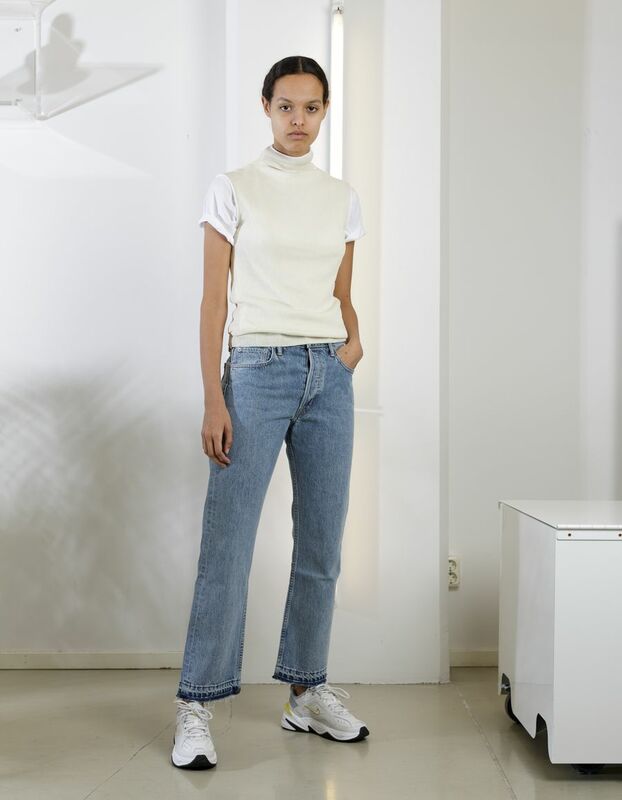 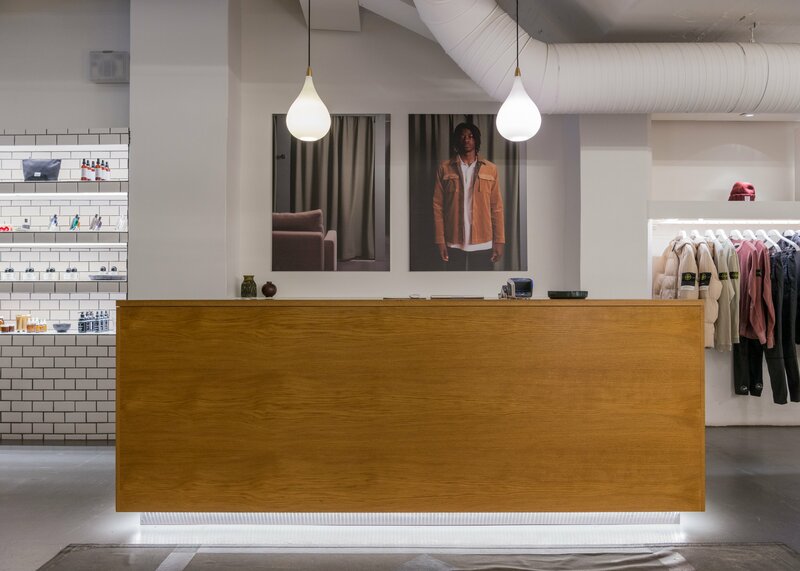 Worn here with top from Helmut Lang, T shirt from Jeanerica and shoes from Nike which are sold separately.